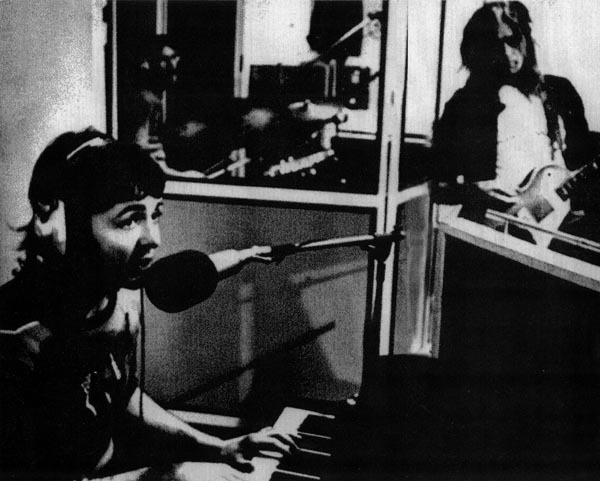 McCartney, McCullough, My Love. Pretty much sums it up. Nothing makes me happier than finding a new, period LSLP recording to share with you. Well, nothing other than finding one used at Woodstock AND in a very famous Paul McCartney/Wings song. I was completely unaware that this song had an LSLP in it. Google to the rescue, I stumbled on it by accident! Amazingly, this guitar was apparently used in the famous live recording of "With A Little Help from My Friends" by Joe Cocker at Woodstock. As happy as I am to share this fantastic piece of LSLP guitar playing with you, this is not an all together happy story. Please take the time to read the auction description below. You will learn quickly that Mr. McCullough is in a challenging situation and only sold this guitar to help with medical bills. The guitars are fantastic, but the people who played them are far more important. Take the time to look up Mr. McCullugh's work online and maybe go the distance and purchase some to help him with your royalties. PLEASE NOTE OWNERSHIP CITATION OF THE FOLLOWING TEXT & IMAGES AT THE BOTTOM OF THIS PAGE. THANK YOU. YOUTUBE: "My Love", Wings, 1973 Album "Red Rose Speedway" -- LSLP Shown @ 2:00 in first video and @ 2:20 in the second one (live). The serial appears to read 505xxx, but I am not sure about the second 5. The features match up nicely for a First Series or Early Series Les Paul Standard. Most certainly it had a "Les Paul Model" silk screen which was lost to polishing or buffing at some point. "The 1968 Gibson gold top guitar used by Henry McCullough throughout his career as one of the world’s greatest guitarists. This guitar was used at Woodstock while playing “With A Little Help From My Friends” with Joe Cocker. The Guitar was later used playing with many bands but most significantly with Paul McCartney and Wings. 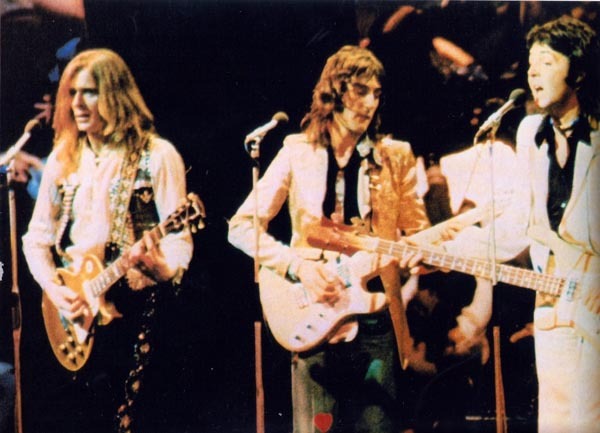 The Guitar is accompanied by The Sequin jacket worn by Henry during his time with Wings. Henry McCullough is widely regarded in the music industry as one of the greatest rock guitarists of the last half-century. He was invited to play lead guitar in the bands of such legends as Paul McCartney’s Wings, Joe Cocker’s Grease Band, The Frankie Miller Band and Ronnie Lane’s Slim Chance. He has also played with Leon Russell, Roy Harper, Eric Burdon, Jimi Hendrix and The Who, to name but a few. His other bands include Eire Apparent and Spooky Tooth, as well, of course, as The Henry McCullough Band. A massive heart attack on November 5th 2012 left Henry for dead - indeed he was clinically dead for around 10 minutes before paramedics miraculously revived him. The experience has left him severely disabled, wheelchair-bound and sadly unable to play ever again. Henry and his partner of 32 years, Josie, are now selling their most prized possession - an icon of the music industry - the Les Paul Gold Top on which Henry played his revered, improvised solo in Paul McCartney’s number 1 single ‘My Love’. This is the same guitar Henry played at Woodstock, which electrified the half a million audience with his stunning intro to Joe Cocker’s ‘With a Little Help From My Friends’. The same guitar he played on the original Andrew Lloyd-Webber’s number one album, Jesus Christ Superstar. The money raised from the sale of the guitar will go towards a new home, which can provide Henry with the special facilities he now desperately needs. Sadly, despite having contributed so much to the world of music, he never enjoyed the degree of financial success he deserved - the reason why he has chosen to auction his most prized instrument. This is the first and only opportunity to become the proud owner of Henry McCullough’s wonderful Les Paul Gold Top - a great guitar and a unique piece of rock memorabilia - and in the process for you to provide much needed help to one of the industry’s most outstanding musicians." All text in quotes is verbatim from Fame Bureau Limited / Live Auctioneers' website. Some formatting (dividing into paragraphs) was done to make it easier to read. This guitar was auctioned on Sept 23, 2013 as Lot 397. In doing so, they publically posted these images on their site. I have heavily watermarked them to ensure their ownership is permanently associated with these images. Please respect Fame Bureau Limited / Live Auctioneers' property and do not attempt to remove the watermarks. Serial numbers will stay private. The images are posted here are not for profit and for informational purposes only. However, if anyone from Fame Bureau Limited / Live Auctioneers' would like them removed, I will do so immediately and without hesitation.